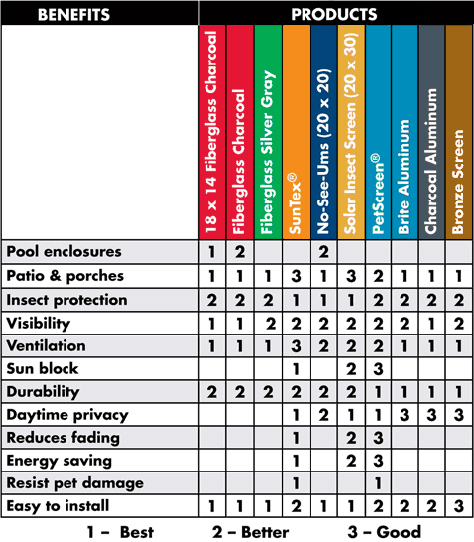 UltraVue® is the ultimate in insect screen visibility for windows, doors and porches. packaged and would have been very hard for FedEx to damage. on-line vendors will not supply with the butterfly latches. couple of months, I will order the 7 screens required from here. They will cost me much less and be made better and stronger, 7/16" x 1"